Obsessive-compulsive disorder (OCD) is categorized as a mental health condition. It triggers feelings of distress and anxiety when someone has obsessive and intrusive thoughts or impulses. Usually, the individual attempts to pacify the anxiety with compulsive behaviors. Everyone has obsessions and compulsions. For instance, you might be worried about a loved one getting sick and wonder if the illness will end in a tragedy. Now, someone without OCD may easily move on from this. But someone with OCD would grow more anxious and let his thoughts or feelings consume his focus and disrupt his day-to-day activities. This is the difference between OCD tendencies and a full-blown disorder, according to the Journal of Obsessive-Compulsive and Related Disorders. An OCD diagnosis may be determined after a series of medical exams and psychological tests. The condition can, fortunately, be treated with medication and behavioral therapy. In this article, we will discuss some ways to deal with a loved one suffering from OCD. Sometimes, people suffering from OCD will manifest behaviors that they’re not aware are obsessions and compulsions. The people around them might also dismiss these behaviors as part of their quirks and general personality. When confronted, blamed or criticized for their behavior, a person with OCD may also demonstrate high anxiety. Growing aware of these things can help you better understand and accept a person with this mental health disorder. Showing a positive emotional support to a loved one with OCD is important. It will help him or her feel accepted and loved despite the disorder. Let your loved one know that they can count on you if they need to unload their feelings and frustrations. Let them feel that they can open up to you. Give assurance that you can be trusted with the details of their worst fears or anxieties. Communicate your support with kind and positive words. At the same time, you don’t have to necessarily validate the behaviors linked to OCD. You can also help your loved one learn to evaluate just how intrusive and disruptive those thoughts and feelings are, so they will be able to better manage. You have to adjust your expectations and extend patience when dealing with a loved one with OCD. Understand that those who suffer from this condition may be resistant and difficult to change. Any sudden changes to their life and routines can trigger OCD behaviors, as per a study in the University of Iowa Iowa Research Online. If you get easily frustrated, you won’t be able to show adequate support. Remind yourself when the going gets tough that managing and treating OCD is a gradual process. As far as the expectations go, avoid making day-to-day comparisons of your loved one’s progress. It won’t add any value to how you deal with an OCD person. As much as possible, put more focus on the small but positive improvements he or she makes instead of the setbacks and failures. You don’t have to remain physically at the side of your loved with OCD all the time. Sometimes, time apart will be good for both of you as your world shouldn’t be consumed by the condition. Remember, this disorder is not the only connection you have with each other. Don’t feel guilty when you cannot be with your loved one every single minute. The distance and separation will also enable you to recharge and recover so you can continue to be supportive and understanding of your loved one. It’s easy to blur the lines between supporting and enabling when your only intention is to help your loved one. But you enable someone with OCD if your support is actually reinforcing the compulsive behaviors. For instance, your loved one’s compulsion is to break the bread he eats with his meals every single time. Otherwise, it will make him upset and trigger other reactions that will make the rest of his day harder to deal with. So, you try to avoid upsetting him by preparing food with the bread already separated into pieces. Realize that performing such actions will only reinforce your loved ones’ compulsion. When you’re enabling him, what you’re really saying is that his irrational feelings and actions are justified so he can continue with the compulsive behaviors. Are these scenarios familiar to you? Your family no longer eats out at restaurants because your loved one may find the place dirty and trigger compulsive behavior. You stock up on cleaning products just in case your loved one has the urge to obsessively tidy up something in your home. 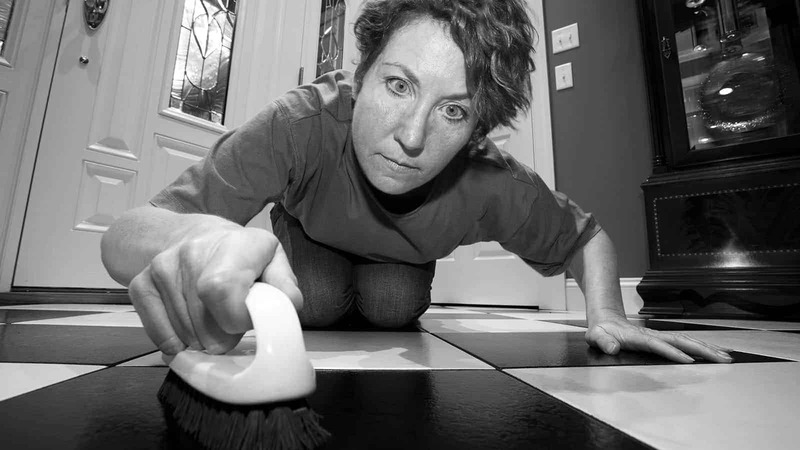 You don’t let your loved one do chores around the house because he or she takes longer to finish it. It’s not healthy to let your loved one avoid feelings or things that may upset or frustrate him. He needs to develop coping skills and still be a functional individual because setbacks are a part of life. Accommodating your loved one’s OCD symptoms will be counter-productive. It won’t also be healthy for the whole family to change their routines and activities just to avoid upsetting the person with OCD, according to the Brazilian Journal of Psychiatry. For instance, you don’t want to start your meal as a family until your loved one with OCD is done with her rituals. But if she takes 10 minutes to wash her hands before eating because she has a particular approach, it’s also not fair to make everyone else wait for her. According to Anxiety Canada, giving in to the compulsion is being a hostage to the condition. In fact, these rituals can be changed, delayed, or avoided altogether in due time. It might be upsetting at first, especially for the one with OCD, but you might be surprised it’s easier to tolerate and deal with than accommodate and let the behavior persist. It’s not going to be easy to deal with the OCD without the help of a professional. But people with this condition will not easily be open to the idea of getting help from doctors. This is likely because of the stigma and judgment that comes with having mental health disorders. But you can slowly encourage the idea of seeking help by bringing home various kinds of literature on OCD treatments. You can find this literature from OCD support groups or a doctor’s clinic. If your loved one does not want to seek professional help, suggest he or she join a support group. Calmly discuss the advantages and the disadvantages; don’t expect one discussion to bring positive results right away. 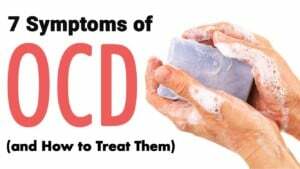 The important thing is to emphasize that OCD can be treated and managed. Make it clear as well that you are not forcing your loved one to get into therapy. Reading up on the condition and treatment options will shed light on understanding and options. It might also help to have a written agreement between you and your loved one with OCD. This is like a contract that will serve as a roadmap or guideline on how you can work together to prevent the disorder from affecting your lives. The contact must include specifics, such as small and big goals, the timeline, and a step-by-step approach to potential problems. Clarity would be vital in this situation to enforce the improvements you want to achieve. 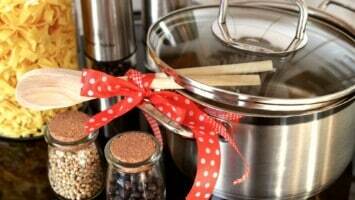 It should encourage order and harmony in the household even if your everyday situations prove challenging. It’s very important for everyone in the family to be consulted about the contract. They need to agree and understand its purpose. If possible, have your loved one’s OCD therapist on board as well (if he or she is already seeking treatment). This is one of those cases where you really need to be physically present with your loved one if he or she has signed on for a treatment program. In many instances, the family should be actively involved with the therapy so that it will bear more positive results, as per a study in Behavior Therapy. It can help facilitate proper communication between family members and clear out any resentments or anger. Your participation in the doctor visits and therapy sessions will also be helpful for keeping track of your loved one’s OCD manifestations and progress tracking. Medications, especially for mental health disorders, have side effects that can also impact a change in behavior. Make sure your loved one is following what has properly been prescribed. It might be tempting to undermine what the doctor has prescribed, especially if you want the medications to take effect right away. Don’t make any changes to the dosage and frequency without explicit instructions from the doctor because this can compromise the treatment process. Don’t hesitate to ask the doctor about the side effects as well so that you can report them on a subsequent visit. If your loved one still won’t seek professional help, know that it is not the end of the world. However, you need to move on with your life. Accept that you’ve done all you can for your loved one. This time, you might need to focus on self-care and get back to enriching your life. You don’t have to stop learning about the condition, however; continue to read up on OCD. The more you learn, the easier it will be for you to understand what people with this disorder are really going through. Your life with a loved with OCD must never be centered on the disorder. Tolerance and understanding are vital but keep your daily lives normal. Even with treatment and medications, OCD sufferers will continue to have triggers and stressors. The most effective way for you to truly help a loved one with OCD is to let them learn, cope, and tolerate the uncertainties of life. It’s not always going to be okay but you can weather through the challenges of this condition if you remain supportive.